The 17-hour-long flight to Ndola via Dubai and Lusaka has been rife with discussions about my last trip to the Gemfields Montepuez ruby mine. The three of us who are making this second trip to Africa are swarmed with questions from the rest of the contingent. Being first-timers, their idea of visiting a mine is completely warped. “Will we be living underground or in tents?” seems to be the common concern. After off-roading through the woodlands of central Zambia, we eventually reach the Kagem headquarters, where everybody is taken aback by the magnitude of this emerald operation. The formation of Zambian emeralds is an incomprehensibly rare occurrence. Five hundred million years ago, two very different rock types came into contact — a white pegmatite gradually nudged a 1.6 million-year-old metamorphic talc-magnetite schist to create a midnight black reaction zone. And in the middle of this fluke of nature (and heavy geology lesson), one of the most verdant stones known to man was formed. Hildegard of Bingen, the noted lithologist and 12th-century saint, proclaimed, ‘All the green of nature is concentrated within the emerald.’ It is believed that Cleopatra had a custom of presenting her royal visitors with emeralds carved in her likeness. The Aztecs considered the gem to be holy, and Alexander the Great, Turkish sultans and Indian maharajas filled their treasure chests with these striking green gemstones and adorned them on daggers, writing instruments and jewellery. I am struck by the stunning landscape of this landlocked country — an incredible range of wildlife, plateaus with caressing grassy hills, waterfalls and the Zambezi river. While the area is rich in copper (a major export), Gemfields’ emerald mines which opened in 2008 has also become an important feature of the country’s landscape and economy. The headquarters has the vibe of a bustling city, very much like San Francisco’s Silicon Valley or Gurugram’s Cyber City. There are quarters for workers and supervisors, dining facilities, gemstone washing and sorting stations and a stunning lake house which is also home to a few crocodiles! (We happen to meet a formidable one christened Number 7 who feeds on chunks of barbecued chicken.) Beyond this impressively large set-up is the actual open-pit emerald mine. 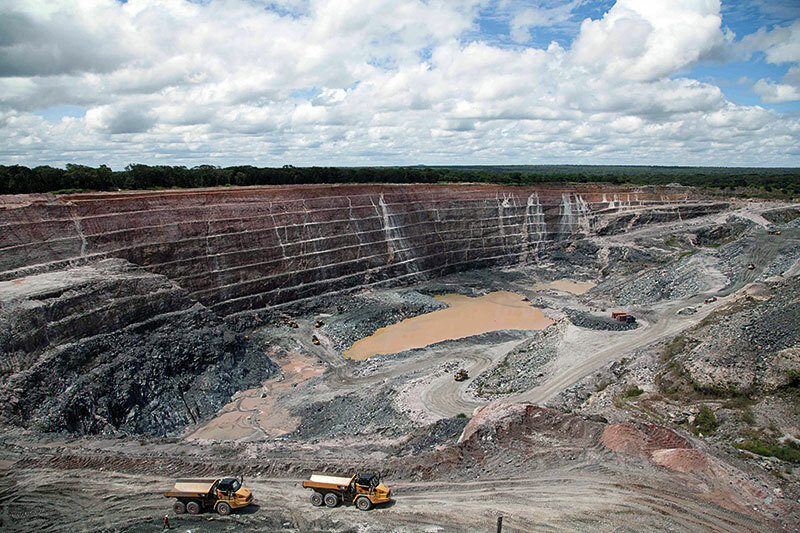 Located in the southern part of the Copperbelt province to the south of Kitwe, the first thing that grabs your attention is the scale! The operation is over one-and- a-half kilometres in length, approximately 750 metres wide and is 130 metres deep which is equal to the height of a 40-storeyed building! By the second quarter of 2009, Kagem had produced 27.6 million carats of emeralds and also made their debut at the Denver Gem and Mineral Show that same year. 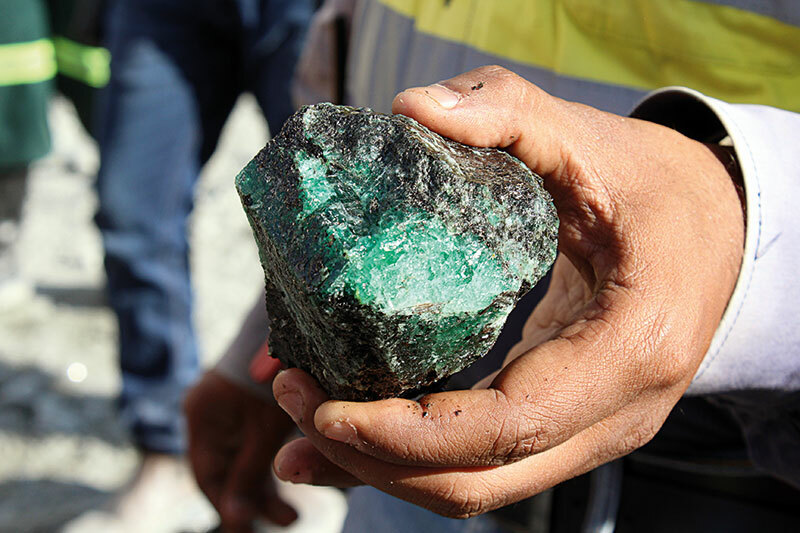 Kagem is now considered the world’s single largest emerald mine, producing 25 per cent of the world’s emeralds. We try to capture Kagem’s magnitude on our smartphones, but even the panorama mode fails. Trekking downward into the heart of this pit, we look on as the miners begin to uncover sizeable chunks of emerald hidden in a coat of black. Nature is full of unexplained mysteries. Five million units of rock need to be moved in order to get one unit of gemstone! American emerald expert Ronald Ringsrud says, ‘For years, geologists couldn’t understand how emeralds were formed.’ Coming from the beryl family, they derive their silky, green colour from chromium and vanadium. The presence of iron, a signature feature of the Zambian variety; gives them a bluish undertone. “Based on resources estimated to be in excess of 1 billion carats, the mine is expected to have another 25 years of life,” explains general manager, Dibya J. Baral. As the black tourmaline is steadily chiselled away, a deep green comes into focus. Emeralds rank seventh on the Mohs scale of mineral hardness and need to be handled with care because of their brittle nature. The recovery crew, called chisel-men, retrieve the emeralds through an entirely hand-powered operation. 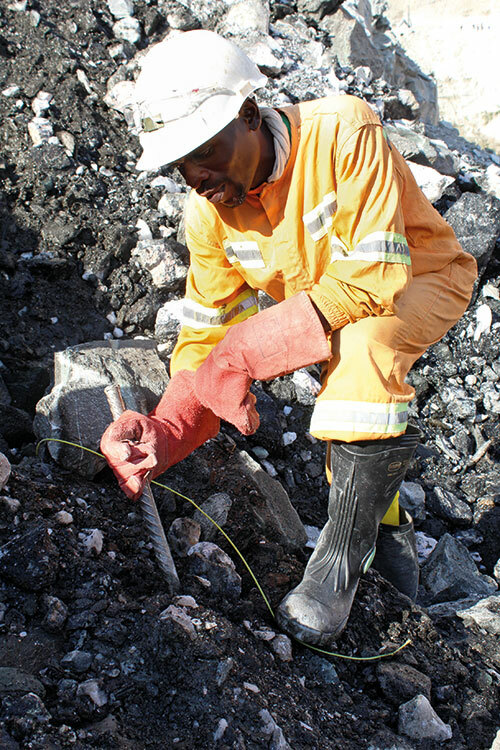 This may be an everyday phenomenon for those at the mine, but for us to hold a 500-million-year-old stone and watch it glisten under the African sun is a pretty big deal! The other thing that grabs your attention is the level of security. Everyone who leaves the pit undergoes a vehicle, bag, and body search. This includes visitors, Kagem staff and management, regardless of level. A few blocks away is the processing plant where the ore is crushed and washed without the introduction of chemicals. As a triple-decker screen breaks the material down by size, it’s the staff who hand-pick the crystals of emerald. The sorting house too is important, explains Baral. “Gemfields has devised a grading system that has been key to the success of our auctions. Buyers trust the grading and rely on us to be consistent over the years.” The company’s goal has always been to practise sound, profitable mining, as well as to leave the environment in a better state than when they found it. 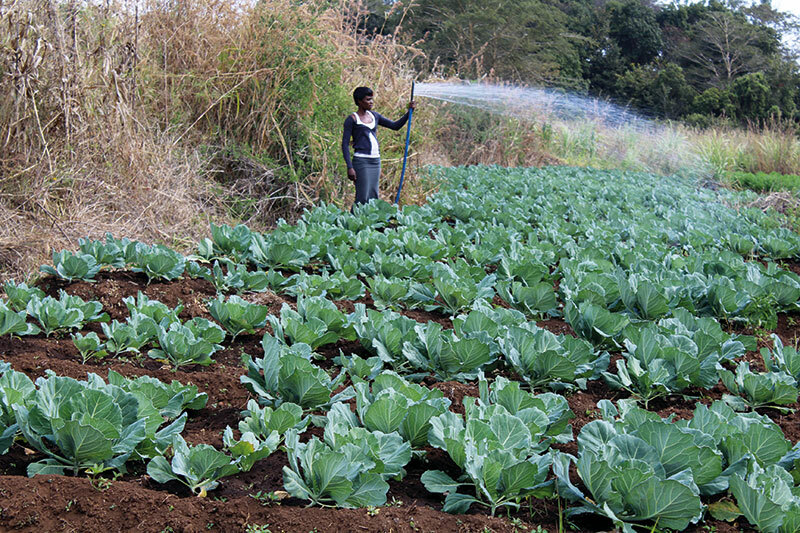 So to make up for the carbon footprint, the mine’s waste areas are covered with soil and used for plantations. They also devote time and effort into finding and recruiting local talent. Knowing that the opportunities for the indigenous people to become engineers and geologists are limited, Gemfields has put a significant amount of funds into building the geology department at the University of Zambia. 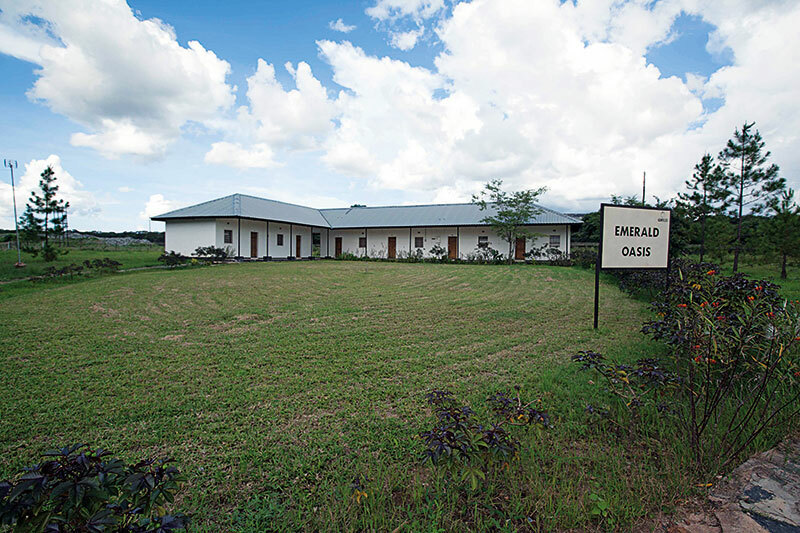 To provide basic education to the local population, Gemfields has built schools and teachers’ quarters, while the Zambian government provides the teachers. The Chapula Basic School, Kapila Community School and Kafwaya Memorial Community School are buzzing with activity. I happen to ask the children what they would want to be when they grow up, and they confidently respond, “doctor”, “engineer”, and even “geologist”! Minutes later, we’re standing at the edge of the open-pit mine again. There’s a dynamite blast scheduled to happen in a few minutes. While we watch from a distance (with every single person from the contingent getting ready to capture a slow-motion or time-lapse video), I revisit the numbers once again in my head. Gemfields has managed to turn Kagem around, from a long history of loss-making to one where it has been able to contribute more than 127 million US dollars to Zambia’s direct foreign earnings over the past three years alone. 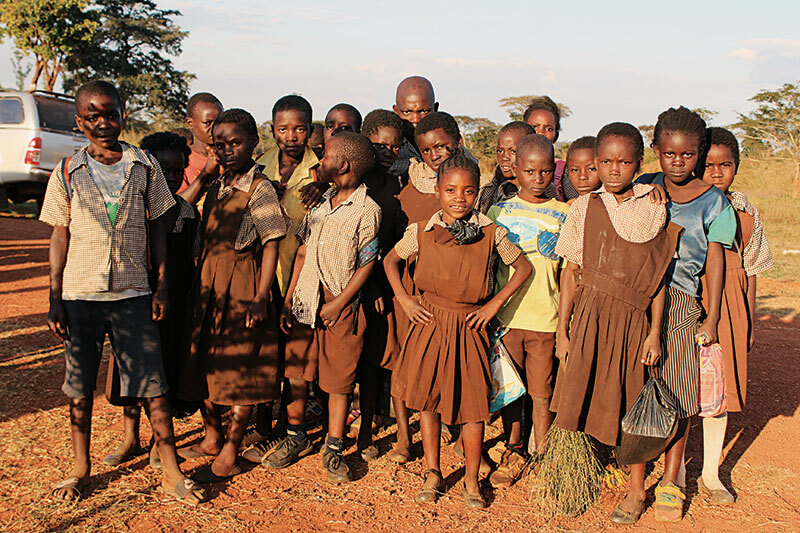 Investing over 500,000 US dollars in community building, they go well beyond the call of duty. I watch the earth crumble, knowing that the emeralds will pass through the right hands in the route from mine to market.